Marketing your business with customized coffee mugs is one of the best ways of showcasing your business’ association with quality. Your customers can take home the branded mugs to sip coffee as they enjoy your shop’s delicious treats. Customized coffee mugs can also give your customers a permanent reminder of the experience they had in your shop, and make it easy for them to share the word about your products and services with their family and friends. Many customers are ready to show support for their favorite, including stores that they visit. You can give them a hint to support you by selling customized mugs bearing your shop’s logo. 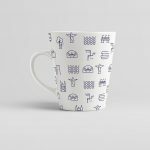 Hand-crafted mugs can make a huge impact on your potential customers by giving them a unique way to appreciate and market your business. Whenever your customers use your mugs, your store will enjoy a significant boost in impressions. From time to time, especially during holidays, you need to give your customers loyalty gifts. When putting your gift items together, you can consider including branded coffee mugs as well. Your customers will appreciate the fact that they do not have to buy each item that you stock individually. Buzz around your products can grow much faster when you have influencers talking about the good aspects of your brand. You can partner with a few influential bloggers to help you build news around your store. You can begin by sending the customized mugs or some of the best reusable coffee cups as gifts and encouraging them to leave reviews for your shop. By gifting them upfront, you will be able to win their trust faster. You can always win customers in a few seconds simply by giving them good first impression of your shop. The visual appeal of your store, for instance, can go a long way in drawing and retaining your customers. Use the customized coffee glass mugs as decorative elements in your shop. The striking décor that these mugs provide can help you capture the attention of potential clients who steps inside your store. Using customized glass coffee cups online and offline to market your store is a great way to spread the word about your products and services. Sipping their favorite beverages out of hand-crafted mugs not only make your customers feel appreciated but also help them keep their cup of Joe tasty and warm.